The Under Fives Group - meets in the Parish Centre for pre-school children from 10.00 - 12.00 every Wednesday, during school term time. It's for parents, grandparents, carers and their children who are under school age. The cost is £1 per parent and child and 50p per additional child. 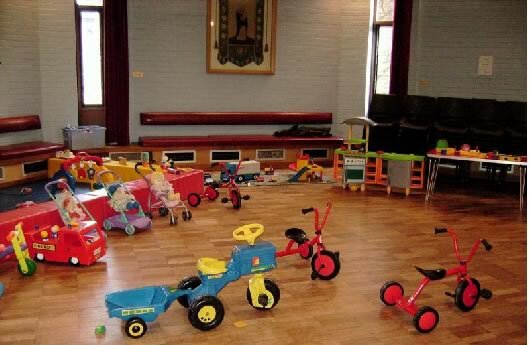 There are toys and activities to suit differing ages and a soft area for babies. We have snacks and drinks for all. There are songs and crafts as well! It's a friendly group. On the first Wednesday of the month there is a short interactive time in church at 10.30, for those who want to join in, and there's something for the children to take home as a reminder. Come and make new friends and have a friendly time.